It is not a surprise that is what is happening, the funny thing is that there is a lot of waste in city government, why is that not being addressed? They could start with the use it or lose it. Every end of the budget year, departments are buys doing and buying things to use the money rather than return it and risk their budget going down. Guess what, the budgets never go down. They could cut pay for police, that has been done before, Kathy Whitmire. There are a lot of options, but Turner did warn the community and the fire department what he was going to do. When I travel in Europe and Asia, I often see ambulances the size of SmartCars zipping through urban traffic and providing sufficient and faster response times. Maybe we need to rethink the way we deliver EMS services, instead of having huge fire trucks fight clogged traffic to show up in response to medical calls. Mainstream, streets in Europe tend to me much more narrow than here, right? Do you think that may account for at least one reason for the smaller size? Yesterday I was doing some shopping at the Studewood/I-10 Kroger around 11am. Pulled in the parking lot only to see a HFD ladder truck #8 parked right by the front entrance. Thought to myself, there must be a fire or EMS-related emergency going on inside. Walked around the store a bit, picked up my goods, only to see four HFD guys in line at the register next to me, with the first guy pushing the grocery-filled cart and the remaining three walking behind him. It took at trip in a 3 gallons to the mile ladder truck and four HFD gentleman to buy groceries for the Station House ? One reason why a fully staffed truck goes out to do the grocery run (or whatever) is so they can abandon the shopping cart (or whatever) if a call comes in, rather than returning to the station. However, I’ll second the idea that we could send some smaller vehicle (say a Tahoe or Explorer, or even a small car) on EMT calls that don’t require an immediate ambulance… ‘cept that means another vehicle that isn’t already in the budget. Mollusk, I’m with ya…assuming this is their sole truck and no one else at the Station could have taken the Unit’s Tahoe/Explorer or better yet, their own personal car, on this shopping trip. Good grief, I wish I had a job that paid me to go grocery shopping. C.L., firefighters literally live at the station while they’re on their 24 hour shift, including eating, sleeping, etc. And again, when a call comes in, they have to bug out right then, regardless of where they happen to be. Getting off in the weeds here, but ok. Most stations don’t have a smaller SUV type vehicle. There is no compartment on an ambulance that is considered acceptable for toting groceries. Cooking the day’s meals for up to 12-16 firefighters might entail grocery shopping. If my house catches fire or my mom stops breathing, please be parked at the front so you can get out fast. It’s a different type of job. Hiring extra firefighters and buying extra vehicles just for grocery shopping is a great idea CL. Prop B solved! C.L. the people that go on that truck are the same ones that would respond to an emergency. Police when you see them eating in a place or on duty and also getting paid, thus the police car up front. Police work 8 hour days, that includes lunch, and breaks, as they are always on duty. That applies if I am not mistaken to police officers that are not on patrol and would not have to respond to emergencies. Manny, I may be wrong, but I am fairly sure that at least for HPD officers, meal breaks are considered “off the air” time and calls are not dispatched to those officers. 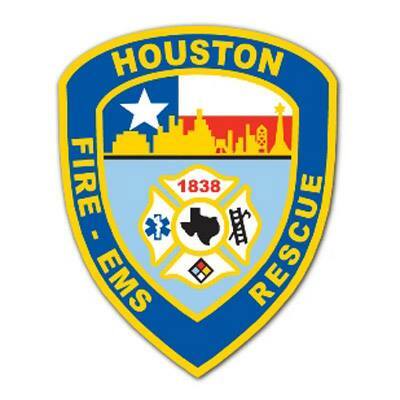 HFD units get no meal breaks and are in service for a call whether shopping for groceries, cleaning the station, mowing the grass, or any other daily activities. More to the original point, the unfunded liability of Prop B was hardly a surprise to this administration. While this freight train was barreling toward him, Turner decided not only to ignore it, but pushed forward with police raises compounding the costs. The city handed itself a legitimate dilemma, no doubt. I have just been very disappointed with Turner’s lack of any original ideas to move forward. This has been a slow moving catastrophe years in the making. I just hoped for more than dug in heels. Rusty, I am pretty sure I am correct as to patrol officers. While it was true as to all police officers a few years back I am fairly confident that it is still the same, but it is possible that things have changed. Your are correct as to why give raises when you think that it will effect how much you have to pay fire personal. Bottom line is/was, the optics (of having a ladder truck parked in front of Kroger while they shopped) were incredibly bad. C.L. here’s an idea, go to station 8, which is the large one down town, walk inside, you can do that, find the first person with a white shirt on (these are the guys who ride in suv style vehicles) trek him your idea about sending an suv in place of an engine, because 8’s has no ladder truck. I don’t know what ladder truck you saw, but there is no ladder truck with only an 8. Studewood and i10 may have been 6’s on Washington, you can find the same suv there. You have a great idea, get out there and tell the right people. I think Houston has, historically, earned every last bit and crumb of prop b. Grocery stores now offer curbside service, where you order the stuff, and have it all ready for you when you get there. The FF’s can do that, then have it delivered via Ubereats or other delivery service. Problem solved, now no one has to leave the station to grocery shop again. The firefighters don’t need murder advocates micromanaging their grocery shopping. I would like to say first, I do agree that the firefighters should have gotten a pay raise. They have tough jobs and earned it. A 29% pay raise, no, not at the expense of the city. The Fire Union should have accepted the 9% raises that were offered by Mayor Turner, this is something the city had enough to budget for. What people are not realizing is that the City offered the fire department a 9% RAISE and they TURNED IT DOWN… That’s why I did not support Prop B (a 29% raise, which is unheard of in any private sector job and not something that ANY company, private or public can absorb – especially without a funding source) as it was written, if Prop B came with a funding source that could have at least covered the 20% pay raise, then at least the City would only have to absorb the 9% that was already suggested. How unfair is that to the municipal workers, services, etc. That are going to feel the brunt of this Prob B initiative? Shouldn’t the fire fighter’s union allow for the 5 year phase in so that the municipal workers (as well as the fire fighters) can not have the layoffs.